Frances Ethel Gumm was born in 1922 in Grand Rapids, Minnesota. Her family life was not a happy one, due largely in part to her mother's drive for her to succeed as a performer and also her father's closeted homosexuality. The Gumm family would regularly be forced to leave town due to her father's illicit affairs with other men and from time to time they would be reduced to living out of their automobile. However in September 1935 the Gumm's, in particular Ethel's, prayers were answered when Frances was signed by Louis B. Mayer, mogul of leading film studio MGM, after hearing her sing. 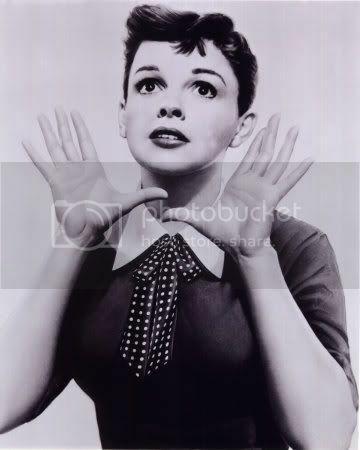 It was then that her name was changed from Frances Gumm to Judy Garland, after a popular 30s song "Judy" and film critic Robert Garland. 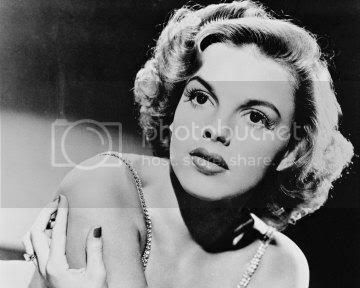 Tragedy soon followed however in the form of her father's death of meningitis in November 1935 and, having been given no assignments with the exception of singing on radio, the threat of losing her job following the arrival of Deanna Durbin. Knowing that they couldn't keep both of the teenage singers, MGM devised a short entitled Every Sunday (1936) which would be the girls' screen test. However, despite being the outright winner and being kept on by MGM, Judy's career did not officially kick off until she sang one of her most famous songs "You Made Me Love You" at Clark Gable's birthday party in February 1937, during which Louis B. Mayer finally paid attention to the talented songstress. 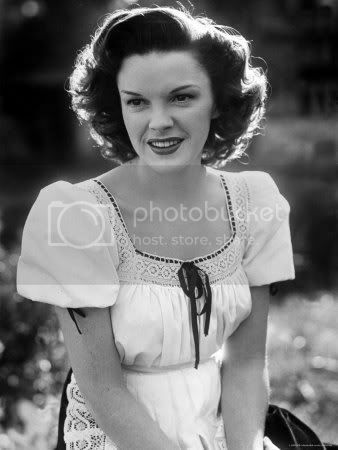 In 1939, Judy shot immediately to stardom with The Wizard of Oz (1939), in which she portrayed Dorothy, an orphaned girl living on a farm in Kansas who gets whisked off into the magical world of Oz on the other end of the rainbow. 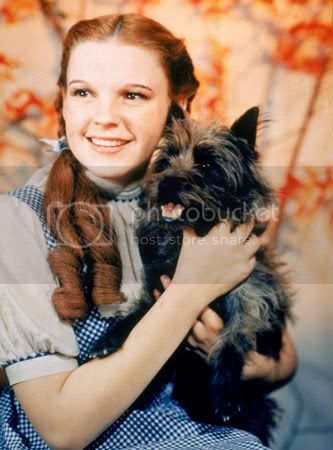 Her poignant performance and sweet delivery of her signature song 'Over The Rainbow' earned Judy a special juvenile Oscar statuette on 29th February 1940 for Best Performance by a Juvenile Actor. Now growing up, Judy began to yearn for more meatier, adult roles instead of the virginal characters she had been playing since she was 14. She was now taking an interest in men and after starring in her final juvenile performance in Ziegfeld Girl (1941) alongside glamorous beauties Lana Turner and Hedy Lamarr, Judy got engaged to band leader David Rose in May 1941. Despite planning a big wedding, the couple eloped to Las Vegas and married during the early hours of the morning on 28 July 1941 with just her mother Ethel and her stepfather Will Gilmore present. However, their marriage went downhill as, after discovering that she was pregnant in November 1942, David and MGM persuaded her to abort the baby in order to keep her good-girl image up. She did so and, as a result, was haunted for the rest of her life by her 'inhumane actions'. The couple separated in January 1943. 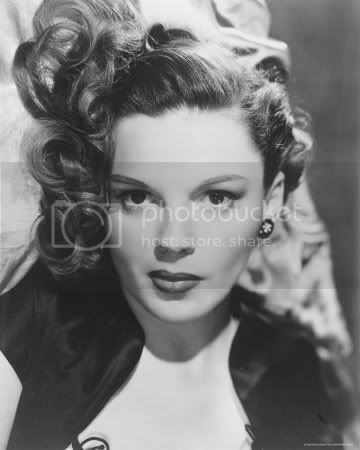 By this time, Judy had starred in her first adult role as a vaudevillian during WWI in For Me and My Girl (1942). Within weeks of separation, Judy was soon having an affair with actor Tyrone Power. Their affair ended in May 1943, which was when her affair with producer Joseph L. Mankiewicz kicked off. He introduced her to psychoanalysis and she soon began to make decisions about her career on her own, instead of the influence of the domineering MGM and her mother. 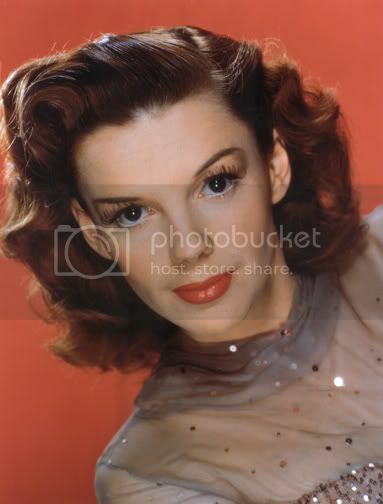 Their affair ended in November 1943 and soon afterward, Judy reluctantly began filming Meet Me in St. Louis (1944), which proved to make her a big success. 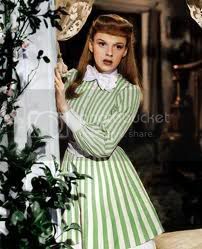 The director Vincente Minnelli highlighted Judy's beauty for the first time on screen having made the period musical in color, her first color film since The Wizard of Oz (1939). He showed off her large brandy-brown eyes and her full thick lips and after filming ended in April 1944, a love affair resulted between director and actress and they were soon living together. On 12 March 1946 in Los Angeles, California, Judy gave birth to their daughter Liza Minnelli via Caesarean section. It was a joyous time for the couple, but Judy was out of commission for weeks due to the Caesarean and her postnatal depression, so she spent much of her time re-cooperating in bed. She soon returned to work, but married life was never the same for Vincente and Judy after they filmed The Pirate (1948) together in 1947. Judy's mental health was fast deteriorating and she began hallucinating things and making false accusations of people, especially of her husband, making the filming a nightmare. She then teamed up with dancing legend Fred Astaire for the delightful musical Easter Parade (1948), which proved a successful comeback, despite having Vincente fired from directing the musical. Afterwards, Judy's health deteriorated and she began the first of several suicide attempts. In May 1949, she was checked into a rehabilitation center, which caused her much distress. She had already been suspended by MGM for her lack of cooperation on the set of The Barkleys of Broadway (1949), which also resulted in her getting replaced by Ginger Rogers. 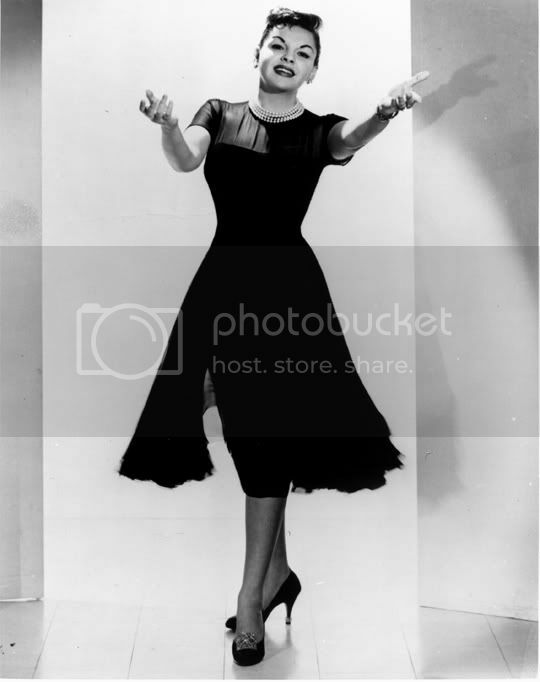 After being replaced by Betty Hutton on Annie Get Your Gun (1950), Judy was suspended yet again, before making her final film for MGM entitled If You Feel Like Singing (1950). 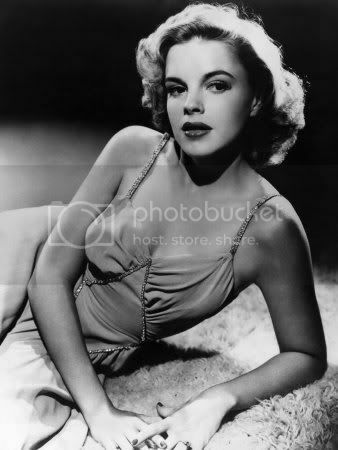 At 28, Judy received her third suspension and was fired by MGM and her second marriage was soon dissolved. 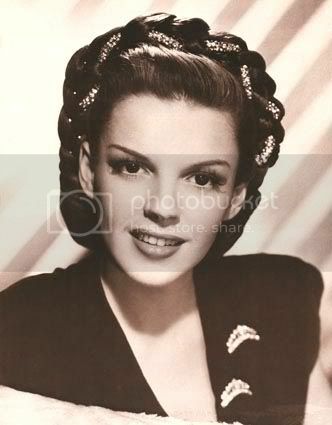 Having taken up with Sidney Luft, Judy traveled to London to star at the legendary Palladium. 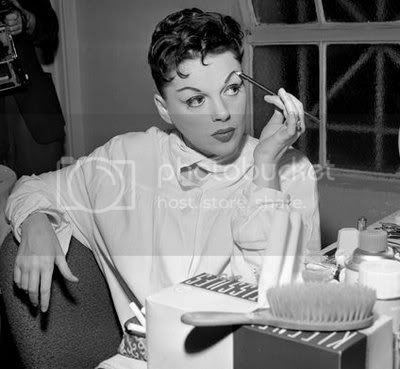 She was an instant success and after her divorce to Vincente Minnelli was finalized on 29th March 1951 after almost 6 years of marriage, Judy traveled with Sid to New York to make an appearance on Broadway. With her newfound fame on stage, Judy was stopped in her tracks in February 1952 when she fell pregnant by her new lover Sid. She made him her third husband on 8 June 1952 at the age of 30 after tying the knot with him at a friend's ranch in Pasadena. 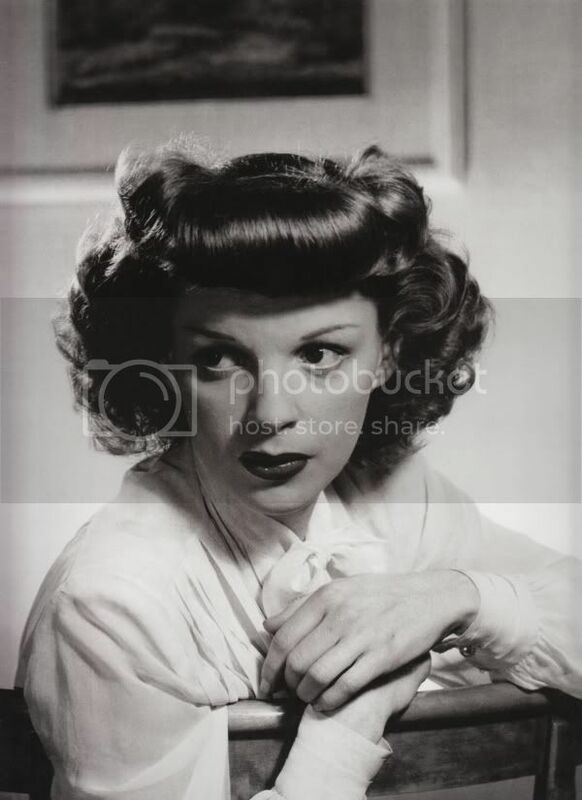 Judy signed a film contract with Warner Bros. to star in the musical remake of A Star Is Born (1937), which had starred Janet Gaynor, who had won the first ever Academy Award for Best Actress in 1929. Filming soon began and as a result, set off an affair between Judy and her leading man, British star James Mason. She also picked up on her affair with Frank Sinatra and after filming was complete, Judy was yet again immortalized for being a great film star. She won a Golden Globe for her brilliant and truly outstanding performance as Esther Blodgett, nightclub singer turned movie star, but when it came to the Academy Awards, a distraught Judy lost out to Grace Kelly for the Best Actress Oscar for her portrayal of the wife of an alcoholic star in The Country Girl (1954). It is still argued today that Judy should have won the Oscar over Grace Kelly. In 1961, Judy returned to her ailing film career, this time to star in Judgement at Nuremberg (1961) at the age of 39, for which she received an Oscar nomination for Best Supporting Actress, but this time lost out to Rita Moreno for the coveted Academy Award, due to her performance in West Side Story (1961). Her battles with alcoholism and drugs led to Judy making thousands of headlines in newspapers, but she soldiered on, forming a close friendship with President John F. Kennedy. In 1963, Judy and Sid finally separated permanently and on 19 May 1965, their divorce was finalized after almost 13 years of marriage. She continued working on stage, appearing several times with her daughter Liza. It was during a concert in Chelsea, London that Judy stumbled into her bathroom late one night and died of an overdose of barbiturates, the drug that had dominated her her whole life, on the 22nd of June 1969 at the age of 47. A very interesting read... there were definitely some things I didn't know about Judy. Thanks for sharing!